Thankfully last two winters have passed without a severe weather event as experienced in the previous years. In 2009 and 2010 frequent snow and ice resulted in many parts of Wicklow being cut off for prolonged periods. Consistent low temperatures and repeated incidents of snow, resulted in the County Council focusing their limited resources on keeping primary routes open. 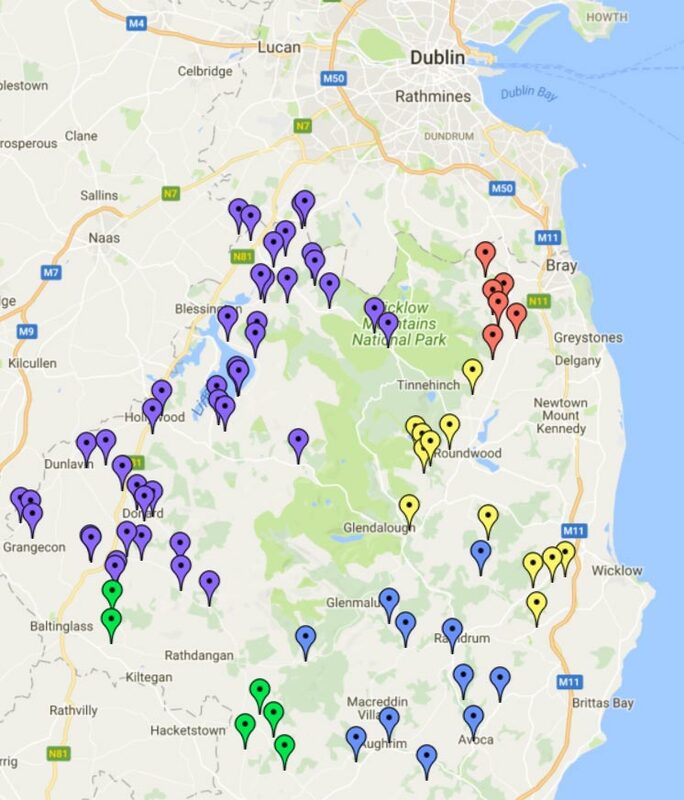 In an attempt to respond to the challenges faced during these weather events, Wicklow Uplands Council offered assistance to Wicklow County Council in reporting local conditions from around the County and collating specific requests from these areas. It was agreed that Wicklow Uplands council would provide a daily co-ordinated report to the Council during a severe weather event. The Uplands Council acts as one point of contact where local representatives report issues and requests on a daily basis. This year these local representatives and the Wicklow Uplands Council Co-ordinator met with Local Area Engineers to ensure that preparations were put in place in advance of the colder months. This included requests for grit deposits at specific locations and identification of local resources and machinery which might be called to assist in a severe weather event. Milk routes were also identified by Glanbia. Winter Ready Week was launched nationally on the 9th November to encourage household and community preparedness. The ‘Be Winter Ready’ booklet provides useful information and safety tips. For further information visit www.winterready.ie. Be prepared, stay safe and know where to find help if you need it. During severe winter weather events information will be available on AERTEL 592.